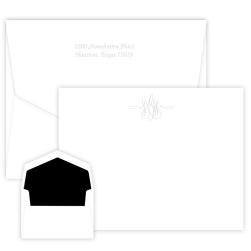 Nothing about our Roberta Monogram Card is ordinary. 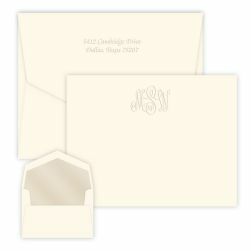 The monogram letters are bold, yet convey a whip-smart persona that gets your attention. Embossed. Single panel card. 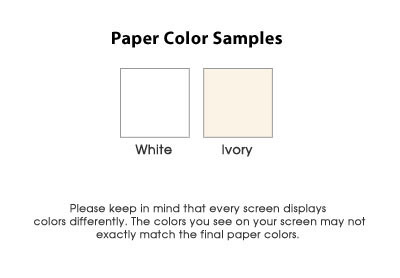 Choose white or ivory paper. 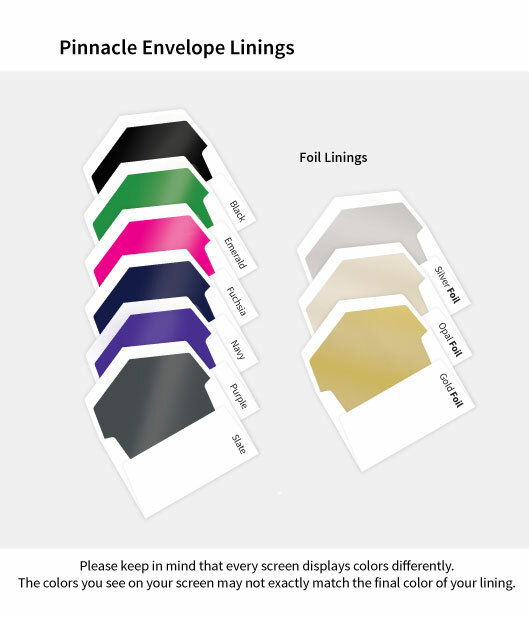 25 color-matched Pinnacle envelopes included. 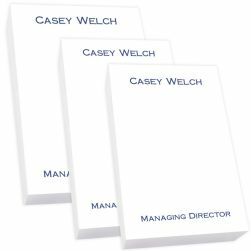 Choose an optional hand-inserted lining to make these extra special.